At the start of the twentieth century, tales of "how the other half lives" experienced a surge in popularity. People looking to go slumming without leaving home turned to these narratives for spectacular revelations of the underworld and sordid details about the deviants who populated it. In this major rethinking of American literature and culture, Scott Herring explores how a key group of authors manipulated this genre to paradoxically evade the confines of sexual identification. 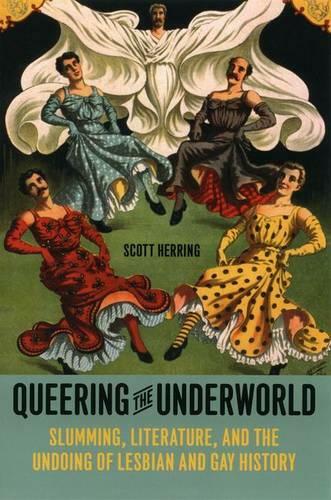 "Queering the Underworld" examines a range of writers, from Jane Addams and Willa Cather to Carl Van Vechten and Djuna Barnes, revealing how they fulfilled the conventions of slumming literature but undermined its goals and in the process queered the genre itself. Their work frustrated the reader's desire for sexual knowledge, restored the inscrutability of sexual identity, and cast doubt on the value of a homosexual subculture made visible and therefore subject to official control. Herring is persuasive and polemical in connecting these writers to ongoing debates about lesbian and gay history and politics, and "Queering the Underworld" will be widely read by students and scholars of literature, history, and sexuality.